Much like the ant would struggle to comprehend and explain the existence of humanity, our theorizing upon the divine is often little better than the ant theologians who ponder the existence of the gods who trounce above their hilly abode. It is logically conclusive: finitude struggles to comprehend infinitude. In this vein, God is mystery. Knowable, for God has been made known through God’s own mighty acts, but not wholly explainable. This, then, is why the most prominent of theologians—the writers of Scripture—predominantly employ the use of metaphor to explain God. Herein lies a conundrum of biblical interpretation: what should be taken literally and what should be taken metaphorically. Swaying too far to either side leaves us off-kilter. The result is not only an unbalanced faith, but one that is unbiblical. When doing theology, particularly in the Christian tradition, it is imperative that theology be biblical. We must have a canon, a standard of measure by which to rule our theology. It is my assertion that Jesus, particularly the Jesus found in the four canonical gospel accounts, provides us the lens for which we are to do theology and interpret Scripture. For the purposes of this essay we will focus primarily on the theological, that is, theorizing divinity through the biblical narrative of divinity incarnate. And the Word became flesh, and dwelt among us, and we saw His glory, glory as of the only begotten from the Father, full of grace and truth … For of His fullness we have all received, and grace upon grace. For the Law was given through Moses; grace and truth were realized through Jesus Christ. No one has seen God at any time; the only begotten God who is in the bosom of the Father, He has explained (Greek exegeomai, “to expound or to reveal”) Him. Scripture informs us that God is revealed through the person of Jesus Christ. Jesus, in whom, “the fullness of Deity dwells in bodily form,” expounds, or more fittingly exegetes, God’s very nature and essence. 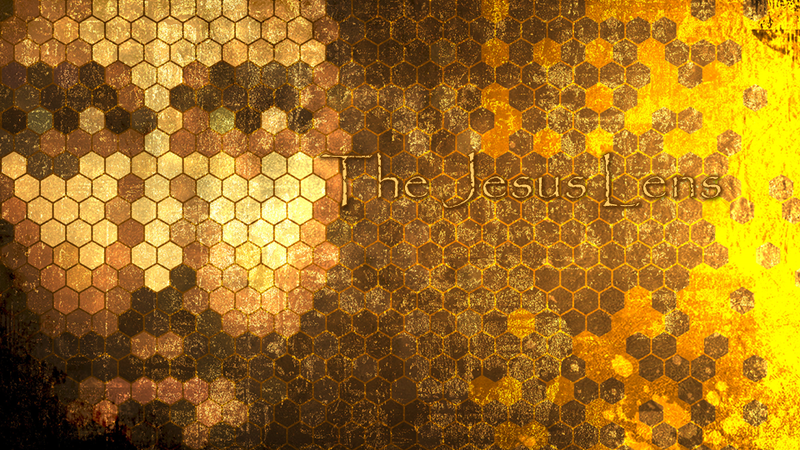 Jesus is our hermeneutic principle, the very lens, in which we interpret the Godhead proper. Through the lens of Jesus, we see who God is—God’s character, nature and essence. Therefore, it is imperative to filter any Christian theological discussion through the life and actions of the incarnate God. The story of Jesus calming the sea is a favorite of preachers and Christians alike. Very often, it is used as a proof text to demonstrate God’s control over God’s creation. Typically, it is taught as follows. Have faith, we are encouraged (or admonished). Look! God is in control! What have we to fear with a God who controls even the wind and the waves? Therefore, do not let the storms of life cause you anxiety. Do not doubt that God is God and God is in control. Certainly there are many who find comfort in this sentiment. But, for a moment, I would like to rethink this common interpretation. My focus, then, is on the inquiry of the disciples in Mark chapter 4: “Who then is this, that even the wind and the sea obey Him?” First and foremost, this passage is an indicator of who Jesus is, namely, God in the flesh. The overall purpose of this passage is to reveal Jesus as the incarnate God and the truth of this, to me and many others, is undoubtable and not up for question. Rather, let us rethink the response of the elements. What is the nature of their obedience? Do the wind and the waves obey because God controls them, forcing them into submission? Or, are the elements fulfilling their creaturely duty of responding harmoniously to the Creator? I would advocate the latter. At first glance, it may seem that I am splitting hairs or merely playing a game of semantics. But there is a distinction between the two which is significant. Obedience is only obedience if one responds willfully in subjection to the will of the one in authority. If Jesus were controlling the elements, it would be difficult to infer their response as obedience. Here, the same created matter that responded obediently to the God speech of Genesis 1 responds accordingly to the voice of its Creator. Granted the discussion thus far has been centered upon the response of wind and waves, subjects without volition. One could certainly, and rightfully, ask what does this have to do with us, with people? It seems to me that if God is willing to act this way towards the wind and the waves, how much more so is God inclined to act uncontrolling towards those who bear God’s image? It would be my assertion that God acts with the influential power of love, and not dictating power of force or control, when dealing with every aspect of creation. God is delicate, graceful, and artful in dealing with creation, not forceful and/or manipulative. For many, a God who does not control is weak. To say that God is not controlling is to somehow make God an invalid. Yet, when we examine those in our lives who are controlling, we often find their controlling tendencies arise out of weakness and insecurity. But our God, the maker of heaven and earth and of all things visible and invisible, is not weak. Will serves as the Discipleship Pastor at Hope Fellowship in Chestertown, MD. He and his wife Emily are expecting their first child in March. Will is a licensed minister and an ordination candidate in the Assemblies of God. He has earned a BA in Theological Studies and is finishing and MA in Spiritual Formation.